Clubman aftershave is a classic aftershave company for classic men. We love the fresh feeling of a smooth face and the close touch of skin after a good shave. But, how can you get the best shave possible? And, more importantly, how can you make sure you get the best rush from your aftershave? We dug deeper into our labs and found a few samples of famous aftershaves for men. What follows is our journey into the beards and mustaches of men such as yourselves. Clubman aftershave was founded in the home of the Mona Lisa, the Eiffel Tower, and baguettes as long as they are tasty, flaky, and hard—France. They have been serving men around the world for over 200 years without fail. From the House of Ed Pinaud, the company grew to barbershops and bathrooms around the world. 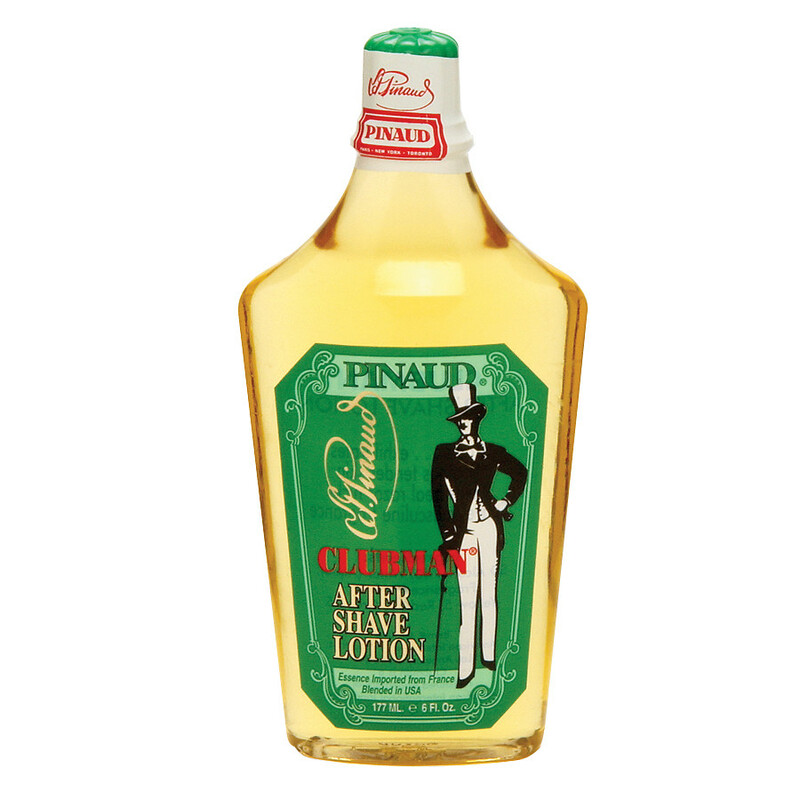 Classic men have been using Clubman products like aftershave and lotion since their debut. The general appeal of no scruff, no fuss has served them well. Clubman aftershave is an alcohol-based aftershave. That cool bracing feeling in the morning that wakes you up just before that first jolt of coffee is what their reputation was founded upon. No one wants to have itchy dry skin after a nice shave, and razor rash can ruin your entire day, so Clubman aftershave thoroughly tests their products to ensure maximum effectiveness. The satisfying burn after slapping it on your cheeks will undoubtedly yield the results you need. The price of Clubman aftershave is very fair compared to other brands on the market. We have researched a few and found that the reviews and longstanding history make this the optimal choice. We’ll tell you why below. This aftershave is the aftershave that leaves you refreshed, rejuvenated, and ready to go. A good aftershave is one that is both functional and faithful. Clubman aftershave is available online for less than $20. For a company with such a long history and an amazing reputation, this price point is astounding. We priced the average 6-ounce bottle and found it to be the optimal solution for average users. For a bottle of quality aftershave that barbers around the world trust, we gave Clubman aftershave 5 out of 5 stars on price. This aftershave is alcohol based. 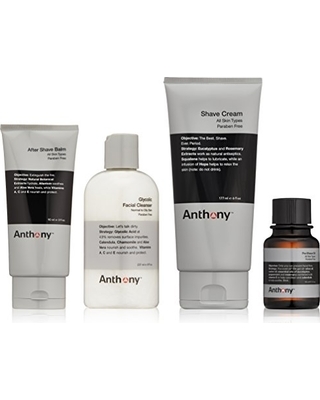 It provides men with the satisfying feel of a clean face while moisturizing and healing the skin. It is very fresh and subtle, the quintessential aftershave. Many barbers use it as their go-to product following a straight razor shave. The rich history leaves us with a great impression, so we gave it 5 out of 5 stars. Anyone with tender skin knows the troubles of finding a good aftershave. This company has presented the solution with their alcohol-based lotion. It gives every user the sensation of cool, exhilarating rejuvenation. The masculine slap-on, a lather-in application makes it the supreme choice for traditional barbershops and shaving boutiques. It’ll help heal any uncomfortable razor nicks and soothe irritated skin. The easy, manly application made us want to give it 5 out of 5 stars. Traditional barbershop aroma of citrus, floral, and musk. The scent is that of bergamot, lemon, and orange peel with light undertones of jasmine, lavender, and geranium. The floral elements balance nicely with the musky base. It is very tantalizing to the ladies, and your friends will wonder at the amazingly classic smell matching your style. This is a classic fragrance for men, so it gets 4.5 out of 5 stars. This product has proven itself to be safe for all grades of skin. It is primarily alcohol and water-based, with a few elements of fragrance. The simple design provides users with a reliable aftershave that won’t aggravate any allergies or sensitive spots on their chin. It’s safer than most aftershaves on the market, so we gave it 5 out of 5 stars. This lightweight moisturizer improves the skin’s firmness, softness, and elasticity. It has been shown to relieve itchy redness and irritation after a harsh shove. If you have an old razor or a disposable razor you like to use on the go, then this may be the aftershave for you. It’s perfect for traveling, and the bottles come in sizes agreeable with TSA protocols. Imperial aftershave is one of the cheaper brands. We found this particular bottle on Amazon priced within the $20 range. It’s a good price for the product, so we’re going to rate it 4 stars out of 5. Green tea extract, shea butter, jojoba oil, and beta glucan. These ingredients are all sourced from 100% natural plants, there were no GMO ingredients nor were there any indications of animal testing. The ethical ramifications of such experimentation would be massive, so it’s great that this company values organic ingredients. The sources prompted us to reward this company with 5 out of 5 stars. Imperial recommends applying their aftershave in five easy steps. First, wash your face well enough to scrub away all dirt and caked in grime (really get in there!). Next, prep your beard with pre-shave oil and massage it into every follicle of your mane. Lather up with your choice of shaving cream/soap. Shave with your best razor. Once complete, rinse and apply the smooth aftershave lotion. 4 out of 5 stars. This aftershave smells of earl gray tea. It has a very calming effect and can be used in the morning or at night. The scent of a hot cup of tea can take you to peaceful places like walking on a dream. The fragrance has been proven to reduce stress and provide the modern man with an overall sense of calm. The amazing scent was easily 5 out of 5 stars. Barring any allergies to the natural ingredients in this product, the safety level is good. You can use it without wondering whether or not your face will break out in hives. The customer reviews were unanimously high, so there were quite a few people who enjoyed it without having any ill side effects. Therefore, we are going to rate this aftershave a 4 out of 5 stars on safety. This aftershave company prides themselves on providing products for men and women. They were founded on the precepts of shaving for men but quickly moved into the arena of women’s products. The wide array of skin care applications has provided them with a large clientèle that trusts them to cater to their everyday needs. Head to toe; this company has lotions, balms, and tinctures which are head over heels. This one will cost you an average of more than $20. The design and formula have been tested to restore the skin in both men and women. The unisex usage makes this a unique product, and it offers versatility that many others lack. 4 out of 5 stars. Benzocaine is the main ingredient in this aftershave. Many people prefer a product with familiar herbal elements or alcohol and water; however, benzocaine has been proven safe by various federal agencies. It soothes and cures blemishes in the skin once applied, and it will not leave you with an itchy dryness. 4 out of 5 stars. This simple to use and natural aftershave has been providing customers with relief for ages. When using it, you finish your wash and shave, then apply the silky lather. Make sure you pay attention to the curves and crevices of your face. 5 out of 5 stars. The cool scent of refreshing eucalyptus opens up the pores and clears away any irritants. It soothes the surface of shaved skin and aids in healing cuts, burns, and rashes. The bracing scent of eucalyptus fades after a few seconds and leaves you with a tingling sense of renewal. The amazing scent prompted us to award it with 5 out of 5 stars. It’s a light balm, and it’s free of parabens, animal products, or other harmful elements. The most sensitive skin will not be bothered by the application of this aftershave. This was made for anyone who has delicate skin, and customers have rated it highly based on their results. We gave it 5 out of 5 stars. This is the most expensive aftershave on our list. It costs nearly $40 for a bottle. Because it may be too high for some customers, we gave it 3 out of 5 stars on price. This aftershave is free of alcohol. The main ingredients are grape seed extract and shea butter. The combination of grape seed and shea butter act to soothe and strengthen facial skin. You’ll feel moisturized and ready to take on the day. 5 stars. Lather this on your softened, freshly shaved, wet face and hydrate your skin. The moisturizing elements activate your pores to promote healthy, glowing skin and reduce blemishes. 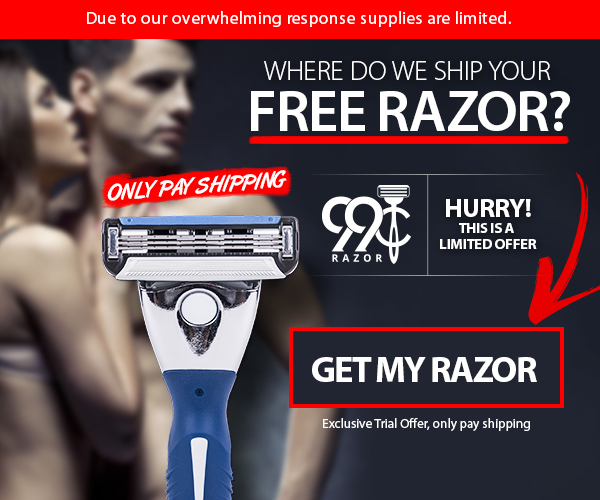 It works great on men with softer skin and those who get razor burn on a regular basis. We gave it 5 out of 5 stars. This aftershave balm is unscented. It works perfectly for men who want something subtle. The unscented aftershave will give you the same great feeling after your morning shave without the strong smell that may not agree with your senses. 5 out of 5 stars. This product does not contain any ingredients known to aggravate allergies. The main ingredients will cure all irritation associated with shaving and leave you looking fresh and healthy. 4 out of 5 stars. After reviewing the best aftershaves on the market, it’s pretty easy to see that Clubman aftershave has the best outlook. Customers that have used the product are very happy with it, and it received the top choice on Amazon. It’s great to know that you can purchase an aftershave that your barber uses and get the same results. Many men love the feel and smell of a fresh, professional shave, and Clubman aftershave is the only company that provides that experience. We tested this and loved the way it feels on our faces. 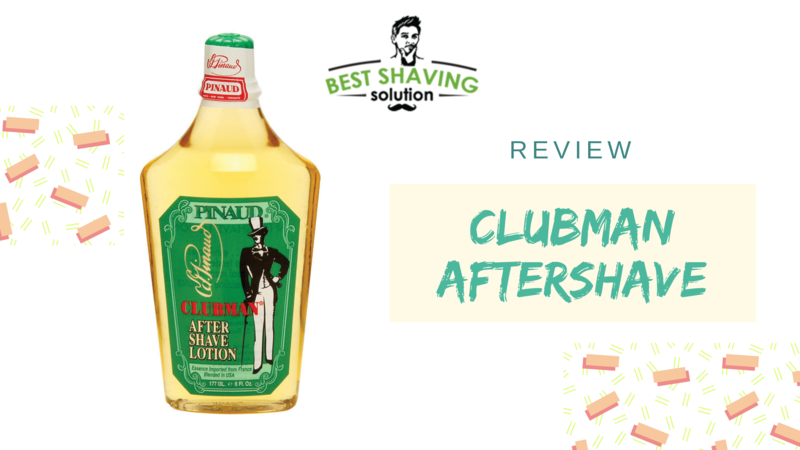 We hope this review helped you out with your search for a good aftershave if you have another favorite aftershave lotion or balm leave us something in the comments below.